We print award-winning custom self-adhesive wine labels. Advanced Labels NW is recognized internationally for our dedication to the fine art of high-resolution custom wine label printing. With more than 5,300 label dies in stock now, you will find the most popular standard wine label sizes available. We also offer custom die cut labels and an array of special finishing options for your custom wine labels. Brands looking to stand out at retail with a custom label produced with exacting quality prefer Advanced Labels over inferior wine label printing companies. As one of the finest Washington wine label printers, we help wineries overcome the issues they face everyday with wine bottles and labels for glass bottles. With our expertise in selecting the proper label material, adhesive, and liner required for your specific wine label application, we are an ideal label printing partner for established and new wineries. Superior quality and innovative label printing techniques are hallmarks of Advanced Labels NW. We welcome the opportunity to meet (and exceed) your expectations for wine bottle label printing. 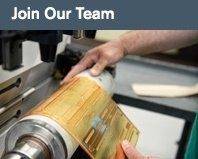 We utilize the finest flexographic label presses and HP Indigo digital offset printing presses available, and offer foil stamped labels, embossed or sculpted embossed labels, and variable data & imaging for your custom wine bottle labels. From our Seattle, Washington label printing facility we offer all the industry standard custom wine label estate papers, including Estate 4, Estate 8, Estate 9, Estate 10, Classic Laid, Classic Crest, and Linen. Our standard and exotic wine label Estate papers all perform under ice bucket conditions, and are designed to survive the rigors of transit. If you need the most durable paper label available for ice water submersion and refrigeration, consider our Ice Breaker material. In addition to the wine label Estate papers mentioned above, we pioneered an exclusive pattern embossing technique to simulate the look and feel of virtually any existing label material. Pattern embossing allows our winery clients to develop any textured custom wine label they can imagine. When combined with our specialty varnishes we can create a truly one-of-kind wine label, a critical element when competing in today’s crowded and competitive wine marketplace. We also print bottle labels for private wine labeling, personalized events, and special occasions. 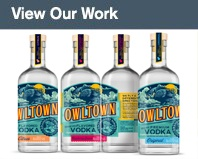 Labels for glass bottles are the most popular labels we offer. If you need additional space on your wine bottle labels, there are creative solutions available, including multi-page booklet labels and bottle neck hang tags. We can provide variable data and variable imaging, so you can include AR codes and QR codes on your wine labels. Wineries use this technology to connect smartphone users to food pairing suggestions, cooking recipes, special promotions, or additional info about your other wines or the winery itself. Our talented graphic design team is here to assist you with your wine label artwork, exisiting label design revisions, varietal changes, or complete wine label brand redesigns. Our friendly and knowledgable staff will guide you through the design and order process for your custom wine labels. We have resources to help you figure out which size wine label you need, or how to select the right wine label material. 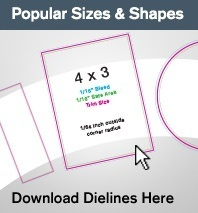 We have a growing selection of 5,300 label sizes and shapes, and our most popular die lines are available for download. TTB Info: Top 10 Mistakes With Online Wine Label "COLAs"
>> Considering cheap imported glass for your custom wine labels? Read this first! Get started today! Contact us for a custom wine bottle label quote or request free label samples of award-winning wine labels we have produced. Visit our Product Gallery to browse a few of our wine label printing samples. 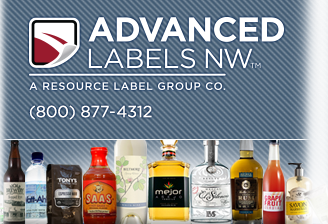 Copyright © 2018 Advanced Labels NW \\ A Resource Label Group Co.